Do you play an instrument that is not common in an orchestra? Do you play the piano but you don’t have one at home? Or do you have no place to rehearse? ESMG Quadrivium offers rehearsal spaces for you to use. The association owns a grand piano, three piano’s and a drum kit. These are all available for members daily. If you want to show your talent to the association, you can join the Musical Open Podium, which is organized several times a year. Or you can sign up to give performances at primary schools, hospitals or nursing homes. 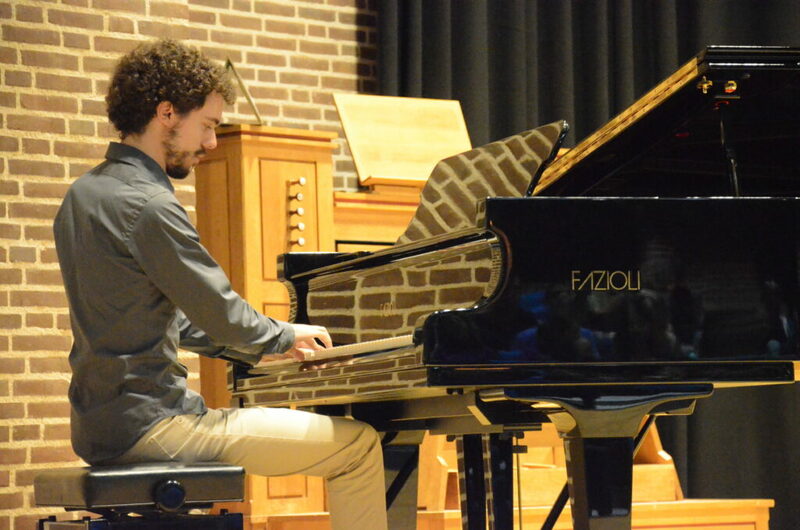 For more information about becoming a piano member you can always send an email to secretaris@esmgquadrivium.nl.